The Class arachnida is a large and diverse group. 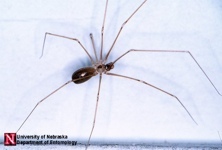 All arachnids belong to a subphylum (a division of Arthropoda) known as the Chelicerata, of which there are approximately 65,000 described species (~8,000 in North America). 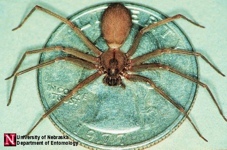 They are characterized by having two body regions, a cephalothorax and an abdomen. 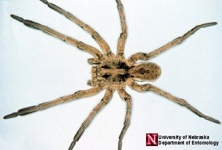 They also have 6 pairs of appendages: 4 pairs of legs and 2 pairs of mouthpart appendages, the first are called chelicerae (hence, the subphylum Chelicerata). 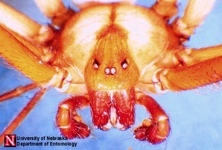 The second pair of mouthpart appendages are called pedipalps. Most authorities recognize 11 orders within the arachnida. Here, we introduce you to three of them. 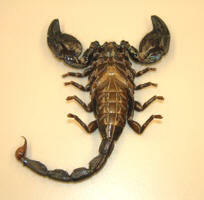 Scorpions are relatively large arachnids. Like other arachnids, their body consists of a cephalothorax, which bears the mouthparts and legs, and an abdomen. 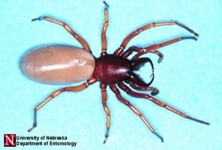 They are characterized by having four pairs of legs, large clawlike pedipalps, and a five-segmented abdomen with a sting on the distal end. 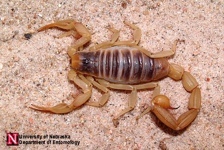 There are about 40 species of scorpions in the United States, but only one is highly venomous and may be fatal. The sting of most species is painful and accompanied by swelling and discoloration. 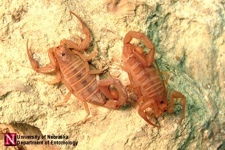 Scorpions feed primarily on other arthropods, such as insects and spiders. 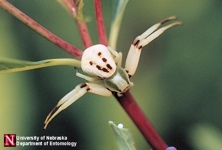 The spiders are characterized by having four pairs of legs and the cephalothorax and abdomen (typically unsegmented) joined by a narrow pedicel. 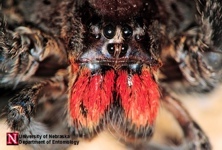 The pedipalps of some spiders may appear leg-like. Most spiders have eight simple eyes (ocelli) on the cephalothorax. 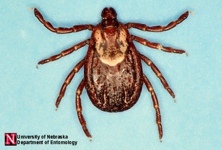 There are approximately 3,700 species of Araneae in North America and more than 38,000 worldwide. 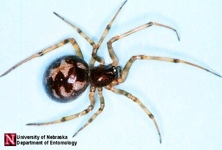 Although nearly all spiders have venom glands, only a few species are considered dangerous, such as the black widow and the brown recluse. The cephalothorax contains the eyes, mouthparts, legs, and stomach. 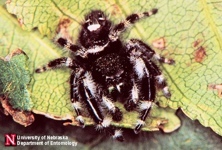 The abdomen houses the primary reproductive structures, respiratory system, intestine, silk glands, and spinnerets, from which the silk is spun. 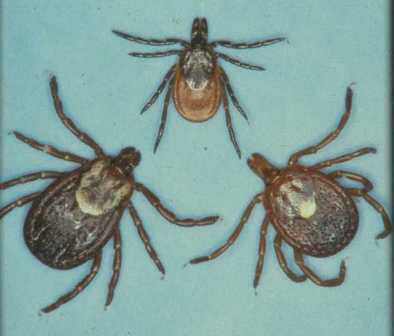 The ticks and mites are a large group of small arachnids. 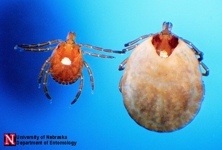 The body is typically oval with little differentiation between the cephalothorax and abdomen, which are broadly joined. The larvae have only three pairs of legs and acquire an additional pair after the first molt. 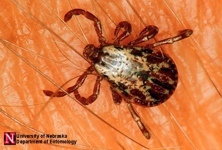 Ticks and mites occur just about anywhere animal life is found. 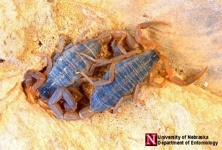 They may be terrestrial or aquatic, free-living or parasitic. Some feed on organic debris, while other live on plants or animals. 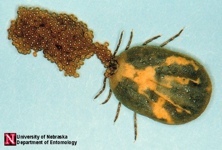 On plants, they may become serious pests while parasitic forms can be pests of man and other animals. 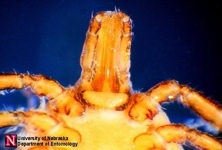 With over 30,000 described species of ticks and mites, this is the largest order within the class arachnida.